The enormous potential of the BRICS countries allows them to act as sovereign poles of multi-polarity in the world economy. The seventh BRICS summit, to be chaired by Russia, will be held in Ufa, capital of the Bashkortostan Republic, on July 9 and 10. The summit will determine the new areas of cooperation and formulate proposals for the progressive development of the BRICS countries' economies. The multi-polarity these nations represent threatens the unipolar world economic order headed by the US and the G-7. 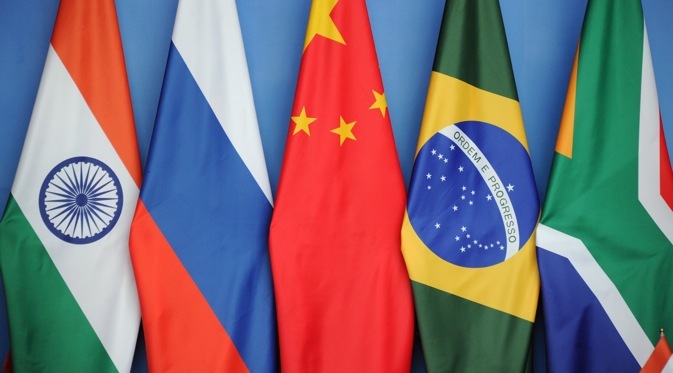 The Brazil, Russia, India, China, South Africa (BRICS) forum can not be regarded as an integrative type of union, thus traditional instruments such as trade flows and investments, and the mechanisms for their liberalization are not decisive. The enormous potential of the BRICS countries allows them to act as sovereign poles of multi-polarity in the world economy. However, their opponents are not happy with such a positioning of BRICS countries, as it threatens the already existing system of unipolarity, where the dominant role is played by the United States, supported by the ‘Big Seven’. The United States today is fiercely opposed to the transition to multi-polarity. The United States believes that Russia, which is gaining geopolitical influence in the former Soviet Union and other parts of the world, represents a major threat to the US and its Western allies in its aspiration for a “multipolar” world. The proactive policy of the US towards China, India and Brazil is aimed at drawing those countries into the system of economic interests of the United States. Under the guise of a “strategic partnership,” the US is aiming to erode the interactive potential of the BRICS countries, and the possibility of the formation of a single political, economic and diplomatic strategy. None of the ‘Big Seven’ (comprising the US, Canada, Japan, Britain, Germany, France and Italy) will voluntarily give up the ‘leading’ positions they currently occupy in the world community. To maintain their position, they will resort to all available modes of pressure. Today, cooperation among BRICS is a form of relations based on equality, on the possibility of implementing a unified strategy based on national priorities. To translate this into practice, it is necessary to stimulate the participation of all countries in the G20 documents that have already been adopted or introduced. For example, in the preparation for the summit in Brisbane in 2014, the potential of the BRICS countries was underestimated in the already adopted package of initiatives, and, as a consequence, the assigned coordinators of summit tasks were kept for the most part for the ‘Big Seven’ (or G-7) countries. BRICS summit in Ufa in July should take account of this “omission” and help develop a coordinated position about the initiatives that are being considered and implemented within the framework of the G20. In our view, the partnerships among BRICS countries can and will continue to develop only in those sectors and segments that meet national priorities and interests. A valid question to pose is, what in today's conditions are the national interests of BRICS? It is the dynamic development of each national economy, aimed at raising living standards of their people, it is an opportunity to realize the individual potential of the citizens while maintaining the national, ethnic and religious beliefs, it is ensuring the social stability and the safety of national territory and national security, it is the decrease of the disparity in income levels of citizens and regions within countries, it is the development of civil society and democratic freedoms, that do not violate the traditional foundations of state-building and meet the requirements of identity of nations in the world community. It is apparent that the national interests of BRICS countries are aimed at their domestic development, and not the pursuance of dominance in the international community. BRICS countries are focused on use of regional and trans-regional economic ties to achieve their goals. Therefore, the areas of mutual interest of the BRICS countries, focused on long-term strategy, may just become the kind of purely economic communications that figure in many areas of life. For instance, in case of joint or optimum use of water resources among themselves for irrigation and drainage works and irrigation of the territories, there are possibilities of incorporating deep water sources into economic circulation. India, Brazil and China, for example, are interested in finding solutions to this problem, while Russia has, for centuries, had an internationally acclaimed school of irrigation, drainage and optimization of the use of water resources. To better coordinate the economies of the BRICS countries it is important to develop recognised educational standards and joint training systems for priority sectors like aviation, space sector, health care, shipbuilding, cyber-security, nanotechnology, environmental degradation and technological areas, among others. Another possibility would be conducting joint research and development and implementing projects with the involvement of academicians and practitioners from the BRICS countries specializing in import substitution, in unification of the legal environment for business on the basis of public-private partnerships and the creation of new jobs. Victoria Perskaya (Doctor of Economics, Professor, Honored Economist of Russia, Member of the Academy of Natural Sciences), Mikhail Eskindarov (Principal of the Financial University under the Government of the Russian Federation).